Two summers ago we set off for a holiday in the Loire Valley with more trepidation about our accommodation than usual. We had booked a beautiful three bedroom home in a converted farmhouse. It had a lovely large garden with a little pop up swimming pool to cool off in. So why the nerves, you might ask? Because it was our first ever house swap – for twelve days we would stay in someone’s home, and have these very same someones living in our humble abode. What if the place was awful, they hated our house, or something went wrong? A home exchange suddenly felt like a very bad idea. When we arrived we were bowled over, it was better than even the photos showed. A homemade cake and a bottle from a local vineyard greeted us. 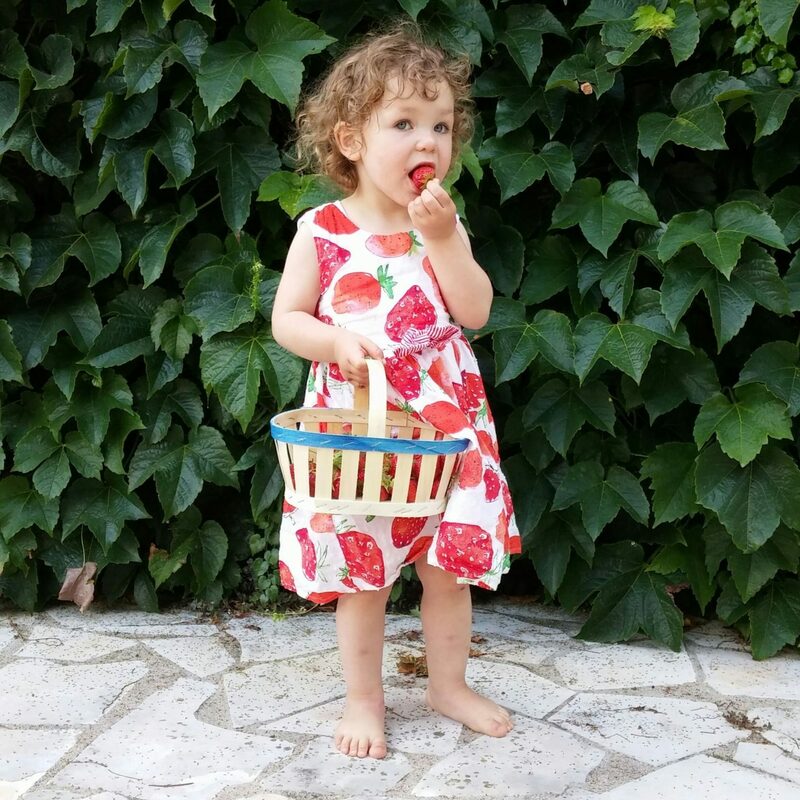 The house was immaculate and our exchangers had made every effort to make us feel at home, from a cot for the little one to invites to pick our own strawberries from their patch. And they were very happy in our ‘cozy’ home. If I’m completely honest, saving money on our holidays was our main motivation to house swap. Three kids with a significant age gap in the middle means a single hotel room is a complete no go. After a particularly fractious weekend break we realised that family rooms must be based on the premise that you should round down the 2.4 kids average, not up. We need at least three bedrooms: a grown ups’ retreat, one for for the younger kids to wake each other up first thing, and most importantly, another for the teenager to barricade herself in when she’s had enough ‘family time’. After a friend regaled me with her positive house swapping experiences, the lure of free accommodation was just too tempting. We tentatively listed our home on a couple of exchange sites, and within two weeks had a signed agreement with that lovely family in the Loire. I estimate exchanging homes for holidays has saved us thousands in the last two years. I wrote in this post that I thought it saved nearly us nearly £1700 last year. Since going part time earlier in the year, as I explained in this blog post, we’ve had to drastically cut back our holiday budget. House swapping means we can take four foreign holidays and one UK break in 2018, yet stay well under our £1,000 budget. But as I’ve learnt from our experiences, house swapping offers so much more than financial savings. Which takes us onto.. Ever heard of Lyjungbyhed? Nope, us neither – that is until we arranged an exchange there for our main holiday last summer. Turns out it’s a tiny hamlet surrounded by woodland, slap bang next to a breathtaking national park and a perfect base for exploring Skane, southern Sweden. 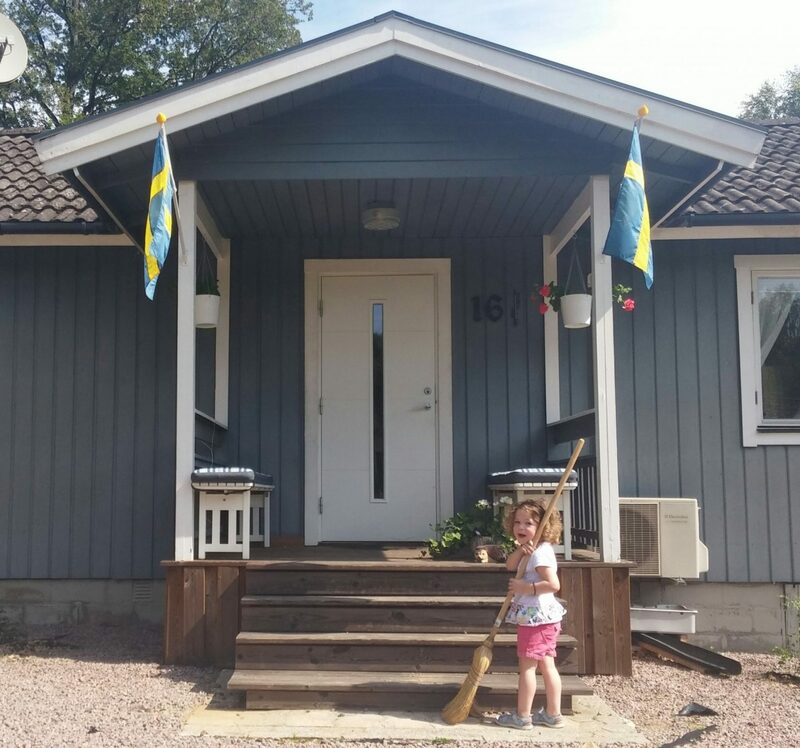 Neither Skane or Lyjungbyhed were on our destination wish list but I’m so glad we ended up there – it was the most relaxing family holiday we’ve had. They say travel broadens the mind – well, there’s nothing like an invitation to visit somewhere you’ve never heard of to help you widen your horizons, and get you off the beaten track. Don’t get me wrong, house swapping is not all about going to places you can’t pronounce. 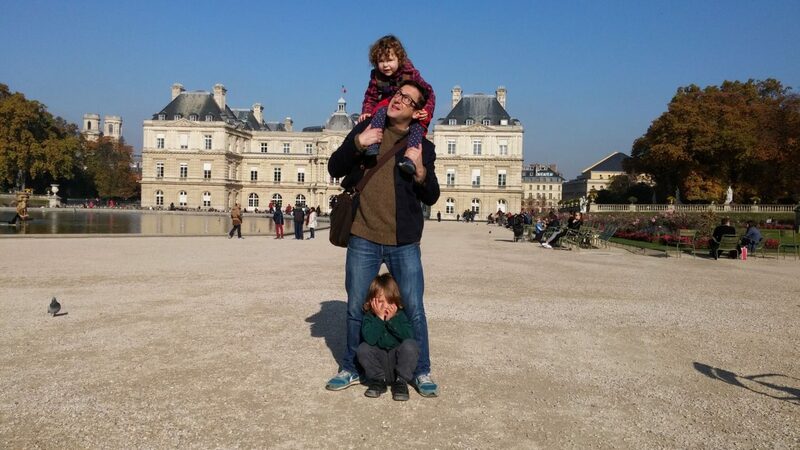 One October half term in Paris, we swapped with a four bedroom apartment right next to the Jardin de Luxembourg. In the daytime we loved visiting the stunning gardens to sail toy wooden boats and run riot in the large playground. One evening me and the teen had a late night viewing of the Mona Lisa, made more magical by being just a short stroll through an upmarket neighbourhood. This area is completely out of reach for us financially – a quick search on AirBnB suggests the equivalent would be hundreds of pounds a night. House swapping allowed us to stay right in the heart of one of the most expensive cities in the world, and for that I’m incredibly grateful. What better way to get to know an area than through a family who live there? And house swapping gives you instant access to that family. Through recommendations given by our house swappers, we’ve discovered plenty of new places. 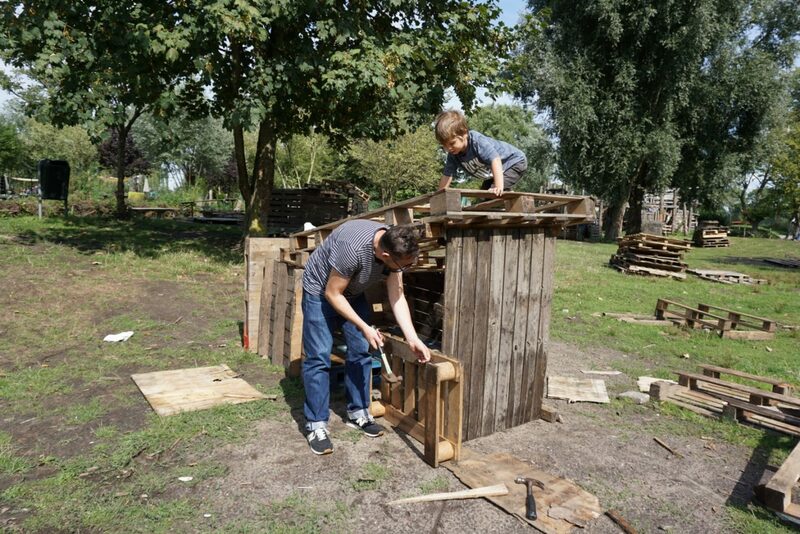 In Amsterdam we were recommended nearby Jeugdland, where MB and MD knocked up a playhouse with hammers, nails and old pallets. During our holiday in the Loire we had a blast in a giant playground made from recycled materials that our house swappers pointed us towards. I’ve never pushed our kids down a zip wire in an old bathtub before! Our house swappers suggest local walks, best beaches, free parking places, and nearest playgrounds. Few of these places feature in guidebooks or even travel blogs, but all help make the holiday more enjoyable. Without exception, all of our house swappers have gone to great efforts to make us feel welcome. We’ve had little welcome gifts, of local beer or wine, and nibbles. The crumpled map of Paris was constantly in my pocket, and the little tin of 50 things to do in Amsterdam gave us some great ideas. Post-its on the freezer point the way to coffee (and vodka), and drawers are left empty for our clothes. During snowfall we were encouraged to use their sleds and outdoor clothes. 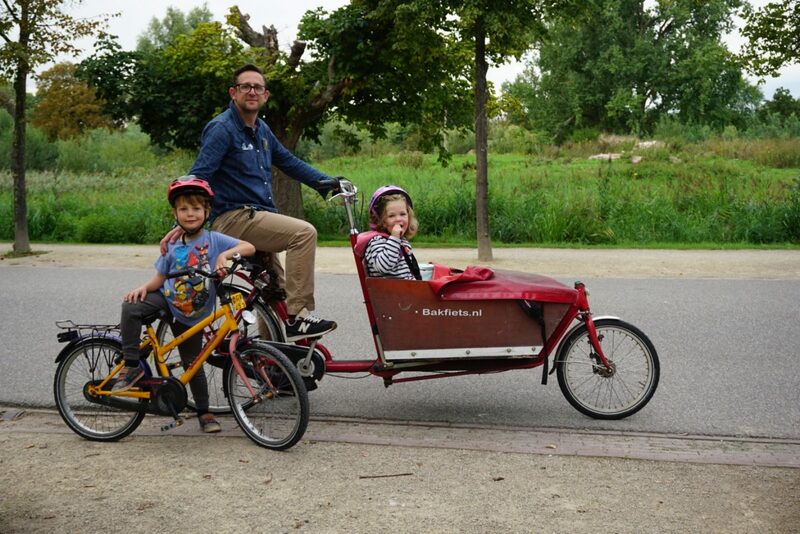 In Amsterdam, we were kindly allowed use of their bikes, an experience which became one of the highlights of our summer holiday. And our lovely Finnish swappers insisted we use their car, just because they thought it would make our holiday better. Don’t get me wrong, anyone can swap their house, exactly as it is. I’ve swapped with families whose homes are so clean I thought they must have another home – but that’s not always the case. The only person who’ll be judging your home is you, the swapping family will be too busy off on their adventures to care about your housekeeping. However, me and Museum Dad like to use the house swaps to give us deadlines to finish work on the house that might otherwise fall down the list. We’ve decluttered, fixed that dripping tap, redecorated downstairs and finally tackled the garden. Case in point: when our son broke our shoe cabinet last weekend, we replaced it immediately – because we have an imminent swap. The benefit of this is our house is in much better shape than it would be if we didn’t have the fear of new families coming to stay in it a few times a year! And we get to enjoy this nicer, more organised space the rest of the year round. Whilst our house might not be perfect, we now have that extra bit of motivation to redecorate the tired hallway… well, almost! People say to me that they couldn’t have complete strangers sleep in their beds. The thing is, by the time you’ve messaged for months, shared your favourite places, and detailed the intricacies of your recycling system, your exchangers no longer feel like strangers. During our stays, I feel like a learn even more about our exchange partners, in some ways it feels like stepping into their lives. We usually message through the stay, just to check in that we’re both happy with our exchanges, or ask advice. By the time we leave I often feel like I’ve made a friend. Judging by the thank you cards, seasonal well wishes, Facebook adds and Instagram banter, I think some of my exchangers may feel the same way too. This summer we even had a little reunion with a past swapper over a coffee. For me, this is one of the most unexpected, yet rewarding aspects of house swapping. I hope you’ve enjoyed reading about our house swapping experiences, and why we enjoy home exchanges so much. I would love to hear what you’ve enjoyed about house swapping, or answer any questions you might have. Comment below, or come find me on social media. Who knows, maybe one day we might exchange homes with each other! Oh wow – this really does sound good. My only fear would be that our house wasn’t quite up to scratch! How generous of the Finnish hosts to loan you their car. Amazing. Believe me, I was worried that our house wouldn’t make the grade too! But all the feedback has been great, and our house is very far from perfect. Plus coming back to a clean tidy house after holiday is such an amazing feeling! It was really kind of the Finns to let us use their car, and we’re currently agreeing a similar arrangement with a family from Denmark for next Easter. Offers like this make us feel ever so welcome. We recently entered the Home Exchange world and it’s quite fascinating. You really do become friends with your exchangers. I think it can really bring together like minded people who love travel. Oh, how exciting for you! Where is/was your first exchange? You’re right, there’s a certain mindset needed to home exchange which makes it easy to become friends.